If you are looking for a 3D Top-down Twin stick tank vs zombies shooter game, looking no more! Your beautiful village is being invaded by Zombies! Let drive the mighty tank into battle and destroy them! Control: Arrow keys to move, Mouse to aim and shoot. 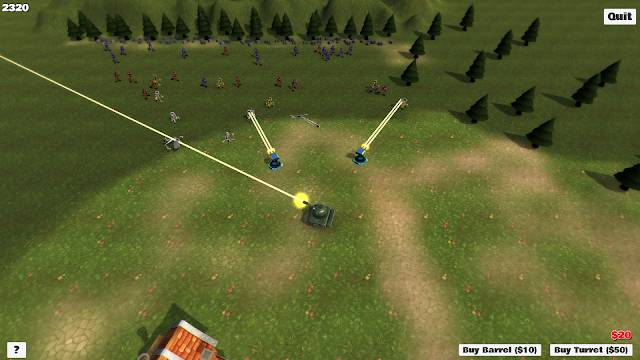 Click on Buy button to buy turrets and explosion barrels. Turrets and explosion barrels will be placed in front of the tank when bought. The game is in development and more features are coming. In the next version, enemies will have the abilities to fight back; and there will be another levels, where you conquer and liberate villages.